Vladivostock, 15th April, 1969; Ranoff (Marilyn Lightstone) wakes Malachev (Nick Nichols) and tells him Agatha's gone mad and destroyed five ships, the army is on standby and there's complete chaos. Malachev decides it's time to move. Lake Ontario, two days later; a fisherman, Hosking (Jack Creley), in a boat baits his hook, then hears a rushing sound and suddenly finds himself stranded on a rocky islet. Toronto, 1977; a Canadian Security radio operator (Richard Moffat) hands Native American Security agent Bailey (August Schellenberg) a message, "FB1", the message Steed had been waiting for. Bailey tells Steed they have details of an enemy infiltration - but he always works alone so won't contact them at the site. Later, Bailey waits on the lakeside, watching a seaplane land while the New Avengers watch from another vantage point. A Russian agent, Czibor (Ara Hovanessiaan), disembarks, carrying a package and Bailey follows. 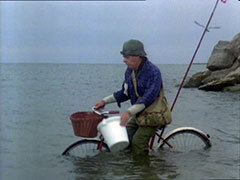 A doctor (John Bethune) tells Steed later he was found in the lake, and had been shot at close range, which Steed finds impossible to believe. Ranoff tells Malachev the guidance system has arrived, and they contact Ivan Halfhide (David Calderisi). Gambit and Purdey, watching the drop, see Halfhide go past in a Swan-shaped boat and collect the package. They follow in another Swan. Hosking, lying on a lilo on some rocks on the lakeside hears the same sound again, and is suddenly adrift in deep water. 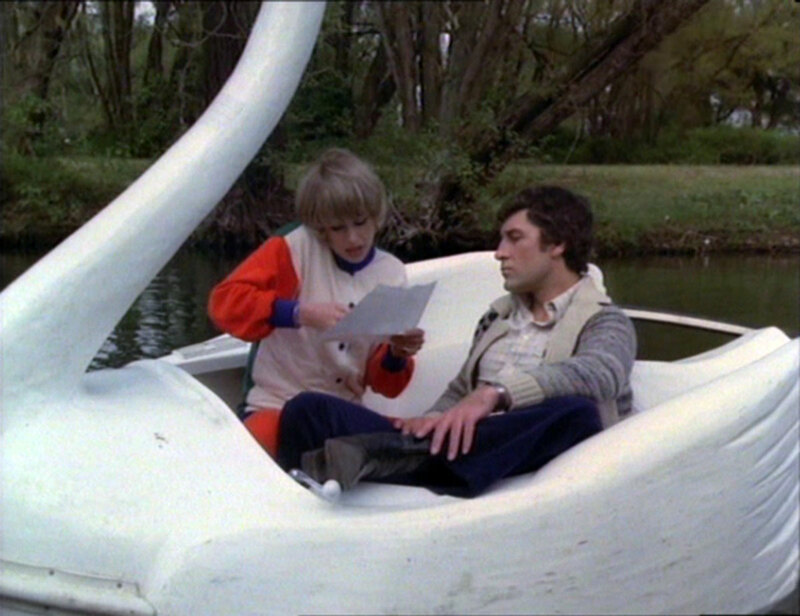 Gambit and Purdey ask him as he paddles past them if he's seen the other Swan and he says he has - near the inlet, which is "300 yards away, or it might be several miles; if you hurry you might catch it - or you could wait here and it'll find you." They catch up to Halfhide in time to see him toss the precious equipment into the lake. Steed can't believe it when Gambit tells him, and they head to where Purdey is diving for it. Purdey finds a vodka bottle, while Gambit takes Steed to the rise Halfhide had thrown the circuit from - only to find the lake is now half a mile away. 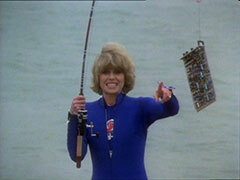 Purdey meanwhile finds the board, except Glover says it's a Mark V, not a Mark VI. In his office, Malachev tells Ranoff to install the delivered Mark VI, which will make their position stronger and they both feel nostalgic for the view of Red Square out the window. Steed strolls along the beach and finds a pile of vodka bottles. 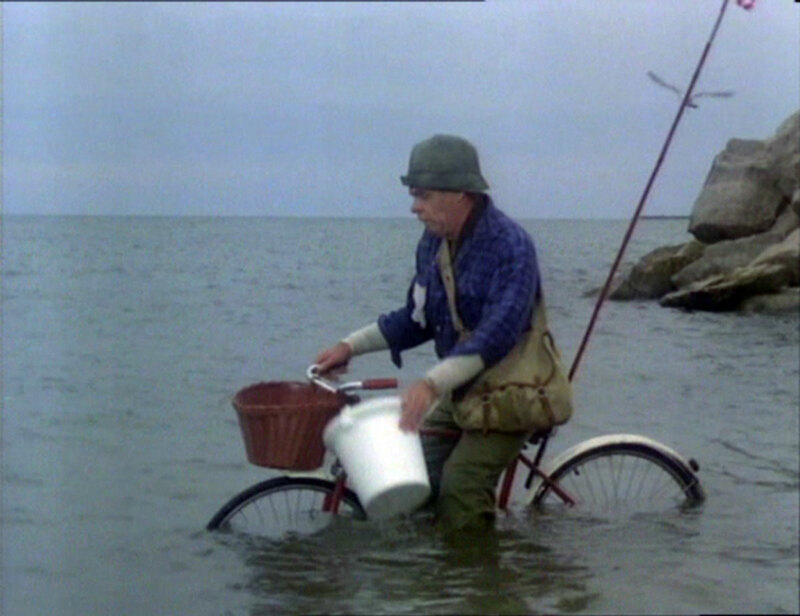 He notices the fisherman, fishing nowhere near the water and is told he's "waiting till it gets nearer". 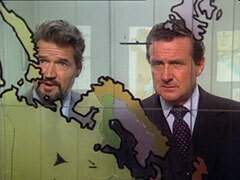 He learns the lake has been odd since Typhoon Agatha hit the region in '69 - and Malachev and Ranoff watch the conversation, transmitted to them moments later. 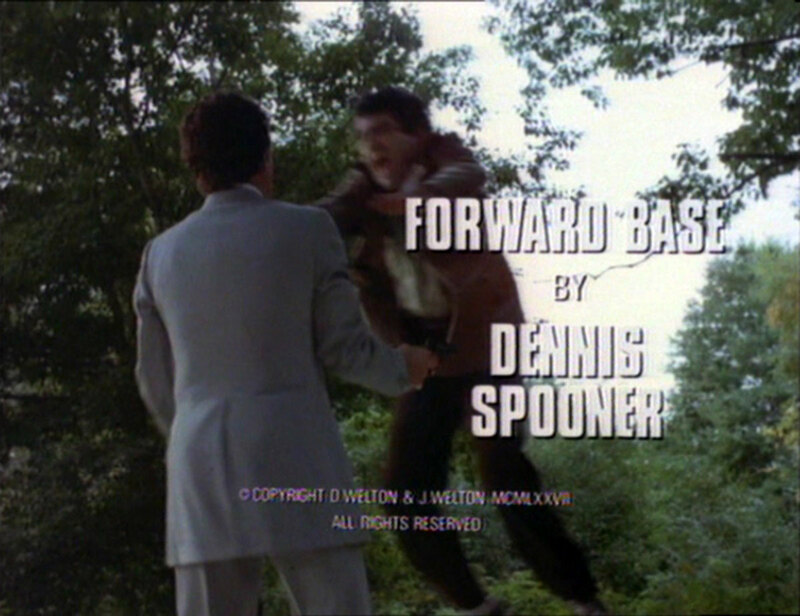 Harper's Trading Post nearby has postcards of the lake before the typhoon, but Ranoff dispatches an agent, Clive (Toivo Pyyko), to destroy them - and Steed. Harper (Les Rubie) is knocked out and the postcards set on fire just before Steed turns up. They fight and Steed prevails; back at base Malachev is worried and orders a change of plan - offensive! Once again, the fisherman is suddenly drenched while Gambit calls Halfhide and tells him, in a Clouseau accent, his cover is blown. Peering out his window, he sees Purdey obviously watching him, then Gambit cuts the 'phone cables before he can ring his contact. He then sees Gambit out his window, rather carelessly revealing his shoulder holster. Now completely spooked, he breaks radio silence and tries to contact the base - where they decide to send Takar to silence him. Steed visits Milroy (Maurice Good) who suspects Forward Base being in Kamchatka or off Finland, but Steed asks for a costal chart of the St Lawrence Seaway. Purdey meanwhile calls the police, saying there's been a fight at Halfhide's hotel. Purdey's complaining about the fickleness of men when Gambit recognises Takar entering - a known hitman - and he chases after him, Purdey, lost in her reverie, not noticing. The police arrive and Halfhide gives up trying to contact base. 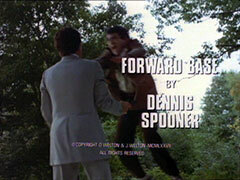 He escapes him room before Takar shoots the lock, and is chased by Purdey while Gambit takes care of Takar - then some policemen who try to arrest him. Steed tells Milroy the radar of the Ontario area would have been affected by debris from the typhoon and borrows his charts, meanwhile Purdey sees Halfhide wade into the lake fully clad. Gambit apologises to the policemen he beat up while the doctor inspects Takar and they're both surprised by the wetsuit he was wearing under his clothes. 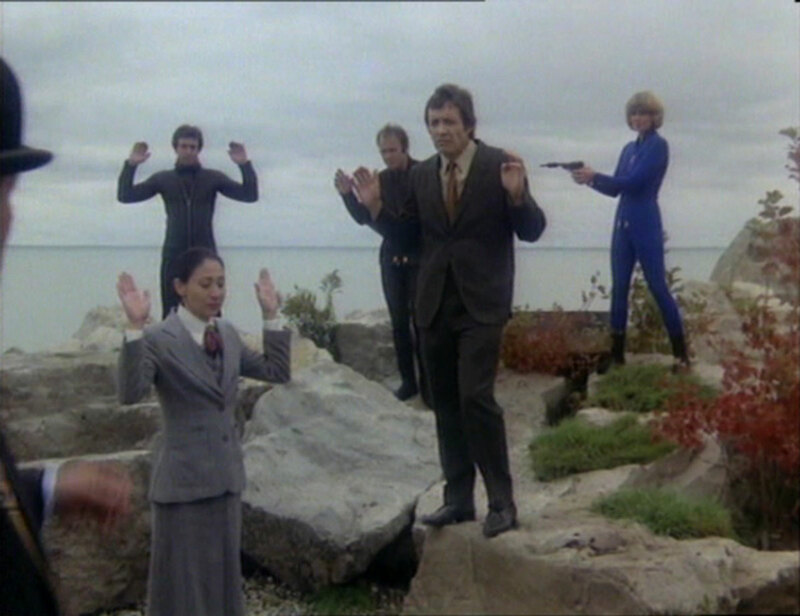 Halfhide is told he's of no further use by Malachev, who pulls out a gun - Purdey is searching the lake and finds his corpse, now dressed in pyjamas and a dressing gown. Steed decides to go fishing instead... Milroy arrives and says the agent who attacked Harper has come round, but Steed's gone to Harper's to buy a fishing kit - a children's magnet one! Purdey investigates the shore and astounds Hosking by showing him fish in a bird's nest; later, she is searching the lake and is captured by two divers. Gambit offers Clive clemency for the exact location of Forward Base, and can't quite believe it. Purdey learns the same from Malachev - the base is a subaquatic community, a sort of large submarine, disguised as the island's peninsula which slipped down the Seaway under cover of the typhoon - so they have a missile base inside the North American defences. Steed meanwhile has determined the peninsula to be made of steel by his magnets and calls in a naval strike, radioing to the base to surrender as they're uncovered and surrounded. Hosking, overhearing Steed and thinking him mad is amazed when Malachev leads his crew out of a hatch in surrender.